The Department of Immigration and Emigration of Sri Lanka has introduced a new Machine Readable Visa Sticker (MRV), replacing the present visa issuance system, which complies with the standards of ICAO, while also incorporating universally recognized security features. The newly introduced visa sticker has been launched with effect from 15 June 2016 at the Head Office of the Department of Immigration and Emigration in Colombo. Under certain circumstances interviews will be conducted by the high commission and might be asked to provide extra documents if necessary. Those applying at the High Commission could pay the visa fees only in cash for which an official receipt would be issued. Visa fees paid will not be refunded. (I). All other foreign nationals except Singapore nationals intending to travel to Sri Lanka for the above purposes are required to apply for visa through www.eta.gov.lk website. Travellers who wish to travel to Sri Lanka for less than 30 days can obtain Tourist visa with double entries through www.eta.gov.lk The visa approval will receive within two days. The ETA is limited to 30 days stay in Sri Lanka from the date of arrival, but it could be extended for up to 90 days from the Department of Immigration & Emigration, in Sri Lanka by paying the relevant fee. (II). If the applicant does not receive the visa approval notice within 2 working days, you may login to www.eta.gov.lk on the home page and check your visa status. Please go to the ETA home page followed by the “check status” and enter your reference or passport number with the nationality. If the status indicates, “ETA is approved” please take a print out of that to take with you when you are going to Sri Lanka. (IV). Applying at the time of arrival at special counters at the Airport. Those who are not in a position to apply on line, through Sri Lanka diplomatic missions or travelling on an emergency, could apply at a special counter at the airport. Payment could be made by USD (United States Dollars) only at the On arrival counters at the Bandaranaike International Airport. Participate in business meetings and negotiations. Participate in art, music and dance events. (I). 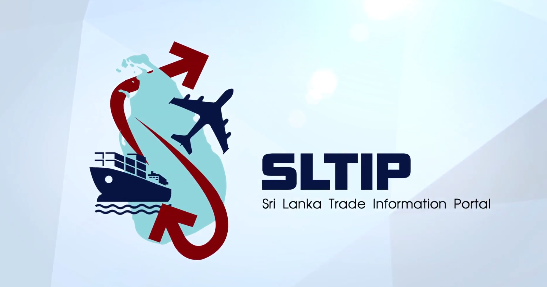 All other foreign nationals except Singapore, Maldives and Seychelles nationals intending to travel to Sri Lanka for the above purposes are required to apply for visa through www.eta.gov.lk website. (II). Those who are not in a position to apply online or unable to submit applications through www.eta.gov.lk may submit applications to the High Commission. Applications could be submitted on Monday to Friday, between 9.00am to 12.30pm. Collection is after 3 working days between 9.00am to 12.30pm.You will be granted maximum 30 days Business visa with Multiple Entries. An Invitation/Visa requesting letter from the Company/Organisation in Sri Lanka. A detailed Visa request letter from the company or organization in Singapore. Under certain circumstances interviews will be conducted by the High Commission and the interviewees might be asked to provide extra documents if necessary. Visa fees paid will not be refunded. Official and Diplomatic Passport holders travelling for tourist purpose is expected to apply for visa online as per the above. However if they are travelling for other purposes other than tourism prior Visa should be obtained through the High Commission stating the purpose of visit and specific period of travel. Applicant's valid Passport together with a copy of the Passport. Passport should be valid more than six months (180 days) from the date of arrival in Sri Lanka. Formal note from the respective government stating the purpose of the visit. Applicants are encouraged to submit applications one month prior to their departure. Please note that visa will be provided only after clearance is granted from the Ministry of External Affairs in Colombo. Two passport size photographs for each member. Copy of the passport and Singapore/Brunei SPR/EP/"S" Pass/DP/LTVP/Student Pass/WP. Letter from organization requesting Visa, encapsulating Details of Visit/ Programme. The High Commission requires prior approval from the Controller General, Immigration and Emigration of Sri Lanka (CG, I&E) to issue entry visa under this category. 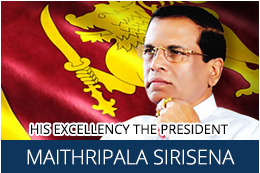 Please see Residence Visa section in the website www.immigration.gov.lk for details. Business Organization or the NGO in Sri Lanka should submit the application for work / resident visa on behalf of the applicant directly to the (Controller General, I & E). The (Controller General, I & E) will then authorize this High Commission to issue entry visa to the applicant. Applications could be submitted on Monday to Friday, between 9.00am to 12.30pm. Collection is after 1 working day between 9.00am to 12.30pm. Applicant should come in person to submit the application. All payments are accepted by cash only. Sri Lankan Nationals living in Brunei should have their documents attested by the Honorary Consul for Sri Lanka in Brunei. If the applicant was born outside of Sri Lanka, the Citizenship Certificate. If the applicant is a citizen by registration, the Citizenship Certificate. Both parents and child should be present to submit the application. Original Marriage Certificate of Parents. For applicants not holding a valid visa will be issued a Non Machine Readable Passport (NMRP), which will be valid only to return to Sri Lanka. Every applicant, including children, requesting a NMRP should be present for an interview with all relevant documents at the Consular Division of the High Commission. A Temporary Passport can be issued in lieu of a lost Passport of a Sri Lankan National, only to travel back to Sri Lanka. Passports are valid for 5 years from the date of issuance can be renewed for a further period of 5 years. Total period of validity cannot exceed 10 years from the date of issuance. Sri Lankan Citizens who are granted with the Singapore Citizenship, have to forward their Application Forms along with following documents with two set of photo copies in order to renounce the Sri Lanka Citizenship. Father or the mother of the child should be a citizen of Sri Lanka at the time of the birth of the child. The birth place should be either Singapore or Brunei. If an application is made after 03 months (under declaration 23) and within one year of the birth, the father of the child should submit an explanation of the reasons for the delay to the High Commission. When an application (under declaration 23) is made after one year of the birth, the application will be forwarded to the Registrar General in Colombo, before the registration at the High Commission. Applicants are liable to pay a surcharge in addition to the normal fee. Original Birth certificate of the child issued by the Competent Authority in Singapore/Brunei. Registration of Marriages will be conducted strictly on a first come first served basis. The parties are advised to deal directly with the High Commission and not with agents or any other party. It is highly recommended to contact the Consular section of this Mission in order to confirm the relevant documentation before both parties arrive in Singapore. Submission of forged documents is a Punishable Offence and such applications will be rejected. Parties can select one of the following methods to submit the Notice of Marriage. The date and time for registration will be notified to the party, once the Application is processed and accepted by the High Commission. Certified copies of Marriage Certificates will be issued on a subsequent date by the High Commission, if required. Additional copies of the Marriage Certificate could be obtained on payment of the prescribed fees. Both parties should not be under 18 years of age. Original and a translation of Birth Certificates of both parties and should be authenticated by the Ministry of External Affairs in Sri Lanka. An Applicant should be the nearest relative of the deceased or a relative of the deceased who resides in the country, where the death occurred or the main occupant of the house where the death occurred or the doctor in charge of the hospital/public institution where the death occurred or if there are no such person who takes action to dispose of the deceased by burial, cremation or other means. If relatives wish to repatriate human remains, it is necessary to get relevant certification from this High Commission for Death certificate issued from relevant authorities and other Export certificates. When an Application is made after one year, an explanation addressed to the Registrar General should be forwarded, before such a Death is registered at the High Commission. Certification of Death will be sent to the Consular Division of the Ministry of Foreign Affairs, Colombo. Certificates/Documents issued by Singapore Authorities/Institutes should be authenticated by the Ministry of Foreign Affairs of Singapore. Certificates/documents issued by Brunei Authorities/Institutes should be authenticated by the Brunei High Commission in Singapore. If a person needs to sign documents such as a Power of Attorney or Affidavits before a JP, this service is available at the High Commission. In order to obtain the service of a JP, the Sri Lanka Passport and the Singapore/Brunei IC should be submitted. Two witnesses (Sri Lankan Passport Holders) should accompany the Applicant. Document issued in Sri Lanka ether in Sinhala or Tamil Languages can be translated to English, only if such document is authenticated by the Ministry of External Affairs in Sri Lanka. Applications could also be forwarded through the High Commission. A Bank Draft equivalent to the sum of Sri Lanka Rs. 1500/= to A/C No. 007041413 payable at Taprobane Branch, Bank of Ceylon, Colombo 01, Sri Lanka.